Hermetic Library Fellow T Polyphilus reviews Moondust by Thomas Burnett Swann. In Moondust, Thomas Burnett Swann chose to slot a novel fantasy into the biblical context of the sheltering of Joshua’s spies and the fall of Jericho (Joshua, chapters 2 and 6). It features a cryptid race, telepathic enslavement, an underground kingdom, and other standard tropes of the Edgar Rice Burroughs adventure yarn. “Moondust” is the true name of the harlot Rahab among her people, who are neither Hebrews nor Jerichites. This is the second book I have read by Swann. The other was the later Cry Silver Bells, which had many points of similarity with Moondust in addition to being set in antiquity with fantastic creatures. Both books have an orphaned teen human protagonist, and a non-human female protagonist who is the love interest of the former. Each young man has an older sister who is a whore. 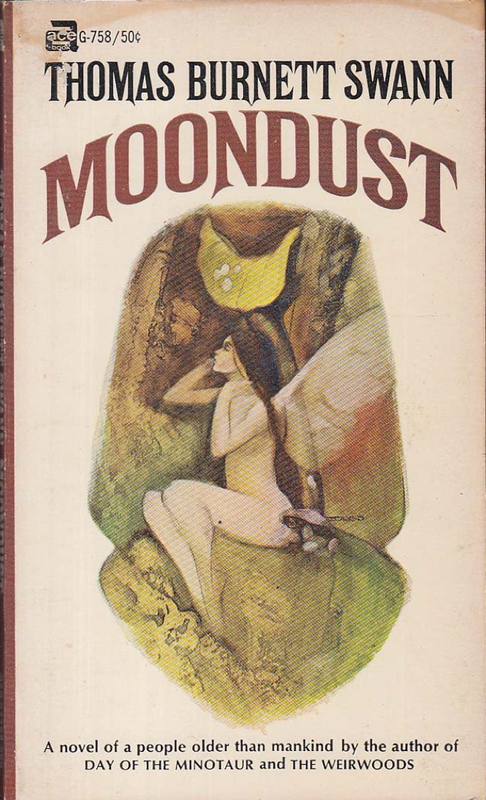 In Moondust, a changeling/adoption scenario allows the sister-prostitute and the nymph to be collapsed into a single character, while the somewhat more sophisticated Cry Silver Bells distinguishes the two. I gather that Swann’s work is now pretty thoroughly out of print, but I enjoyed this strange little book, and I expect to read him opportunistically in the future.